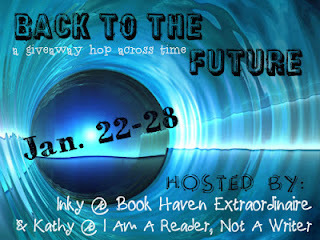 The Back to the Future Blog Hop is on from Jan 22 to 28! This blog hop features time travel books in the past or future. 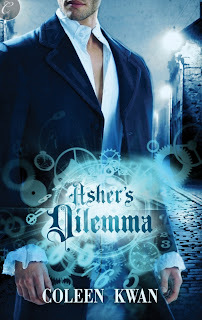 I'm giving away an ebook copy of my latest steampunk romance, Asher's Dilemma. For a chance to win simply leave a comment below. Check out other participants in the Back to the Future Blog Hop for more chances to win great prizes. Thanks for this giveaway! This is great! This book sounds good! Thank you for the giveaway! It seems like it would be a great one to read. The cover is cool! I love it. Oooh! Sounds good! I love steampunk and this sounds like it's got a great time-travel twist :) Thanks for the giveaway! This book sounds pretty awesome! Thanks for the chance to win! This sounds so good, and the cover is fantastic! Thanks for the giveaway. I love time travel books and this looks exciting! Thanks for joining the hop!! I love time travel books, but adoure STEAMPUNK story. It's a new world to dicover and it fascinates me. Only a few authors will be able to write them. I only read one by another author and I got hooked to STEAMPUNK. Coleen thank you for giving away your book. Should I start by reading ASHER'S INVENTION first! Hi Nicole. No, it's not totally necessary to read Asher's Invention first, though it does give more background to Asher and Minerva. I love to read and would love to try this genre. Thanks for the giveaway. Enjoy the site. Thanks for the giveaway this looks like a really good read! Yes, count me in! XD Thanks. i love a good steampunk book! I'm a BIG fan of Steampunk since my son introduced me to it several years ago. This book looks AWESOME!! Thanks for the giveaway:) cc_clubbs at yahoo dot com.